Once a driving force behind the Industrial Revolution (you know, the world-changing movement that would eventually make it possible for you to be reading this article on whatever screen you’re looking at), Birmingham has grown into a modern cultural powerhouse. Several universities, world-leading concert and events venues, a food and drink scene to rival anywhere you can think of…and that’s just the beginning. England’s second-largest city has excellent transport links with the rest of the region (and country) by road and rail. 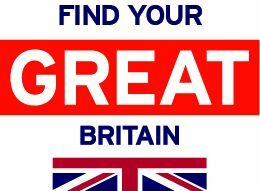 More importantly, Birmingham Airport receives flights from all over the world, including direct from Newark, which truly makes it your gateway to #EnglandsHeartland. Once you’re here and ready to explore, you’ll experience these unforgettable moments for yourself. 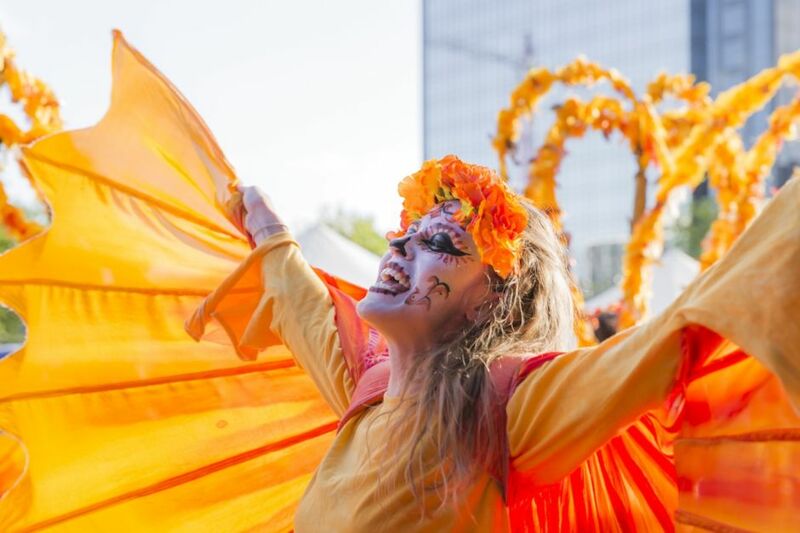 Birmingham Weekender is the biggest arts and culture festival in the city — crowds of 150,000+ aren’t uncommon. It’s three September days celebrating the best of theater, music, art, and some amazing street performances. 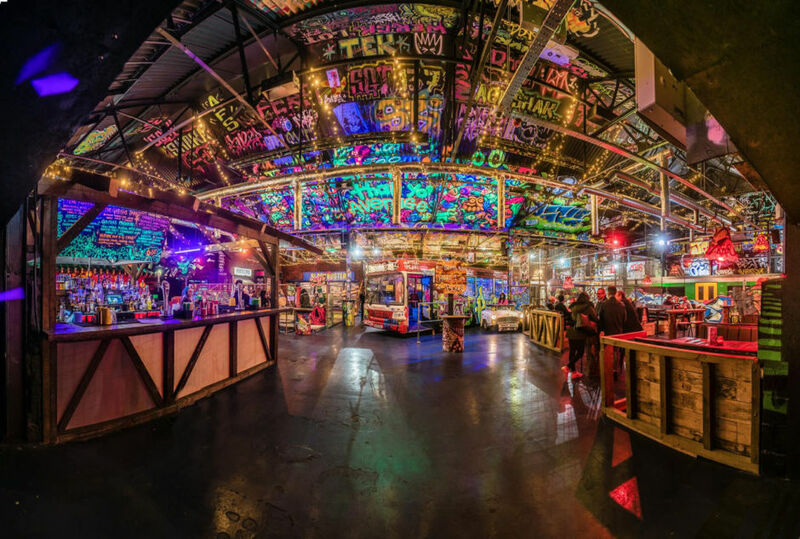 Stop by the creative quarter in Digbeth on Thursdays, Fridays, and Saturdays for incredible food experiences put on by the award-winning Digbeth Dining Club. If you consider yourself a foodie, this is where to check out Birmingham’s latest and greatest. Birmingham Pride is one of the largest LGBTQ events in the UK. It’s celebrated the last weekend in May, with parades, parties, and other special events during the two-day festival. Arena Birmingham is where you go for huuuge acts. Think Lady Gaga, Pete Tong, British Athletics, and comedy’s biggest A-listers. The National Exhibition Centre is also massive. Some of the best annual events here include Crufts, MCM Birmingham Comic Con, the BBC Good Food Show, and a ton of industry-specific events. Across the city, annual events like the Frankfurt Christmas Market, Birmingham Comedy Festival, and the Aegon Classic tennis tournament somehow always seem to be taking place. The city will also host the Commonwealth Games in 2022. 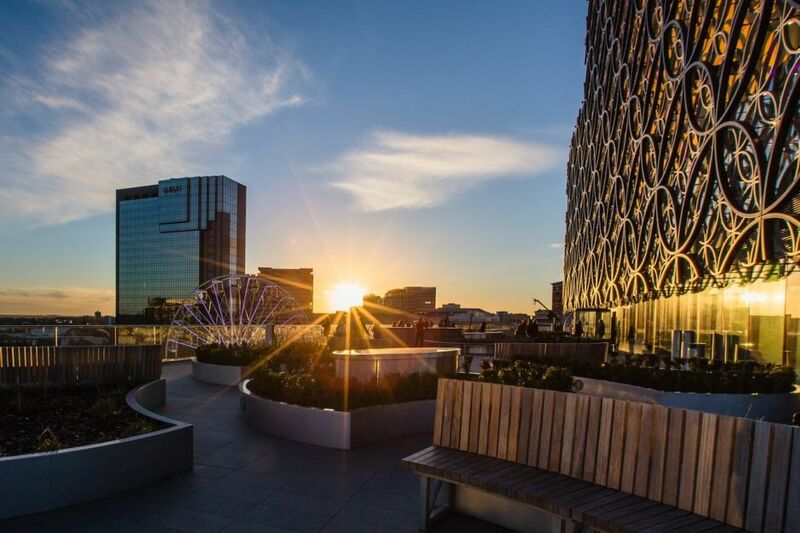 Designed by Dutch architects, the Library of Birmingham is an impressive building and one you really have to see, even if spending an hour or two browsing the stacks isn’t typically your cup of tea. Go out of your way, if you have to, to check it out, and don’t stop at the stunning exterior — it’s equally impressive on the inside (and free to go in and look around, of course). But the views aren’t just architectural — head up to the balcony around sunset, and you’ll see for yourself firsthand. Just south of Birmingham is the town of Solihull — consider it your portal to living out your Jumanji dreams. 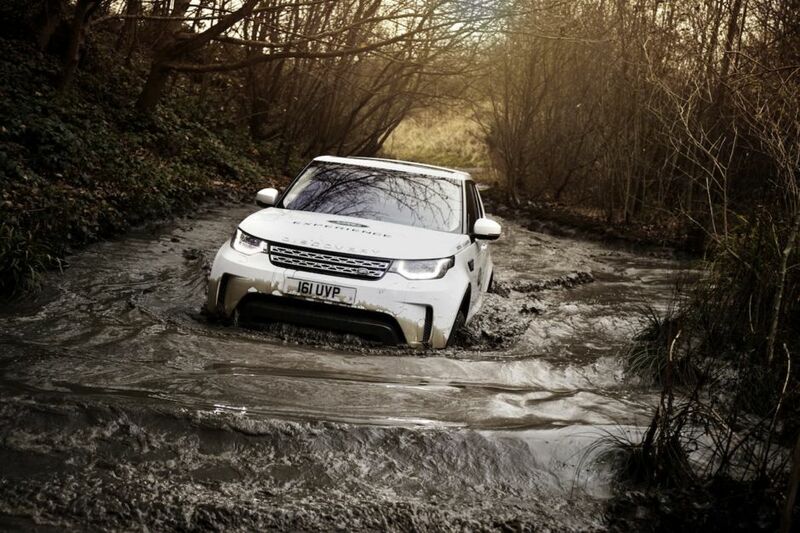 The Land Rover Experience Solihull is here, and they have a number of tours on tap that will have you navigating parts of England you had no idea existed. Hop behind the wheel on a one-hour, half-day, or full-day excursion, and you’re off careening through marshes, deep-water rock crawls, bridge crossings, cave drops, and practically defying the laws of physics on super-steep inclines. Anything named “Mud and Ruts” has expectations to live up to, after all. You’ll get a quick lesson beforehand to make sure you’re comfortable, and on your return there’ll be refreshments to celebrate. Then…it’s back to the rental car. Did you know Birmingham has hosted more Ryder Cup matches than anywhere else in the world? They’ve all taken place at the historic Belfry Hotel & Resort. So if you’re a professional golfer, book it to the Belfry. The rest of us? We’re headed to Ghetto Golf, because there’s nothing like watching your friends fail at something a seven-year-old can master. 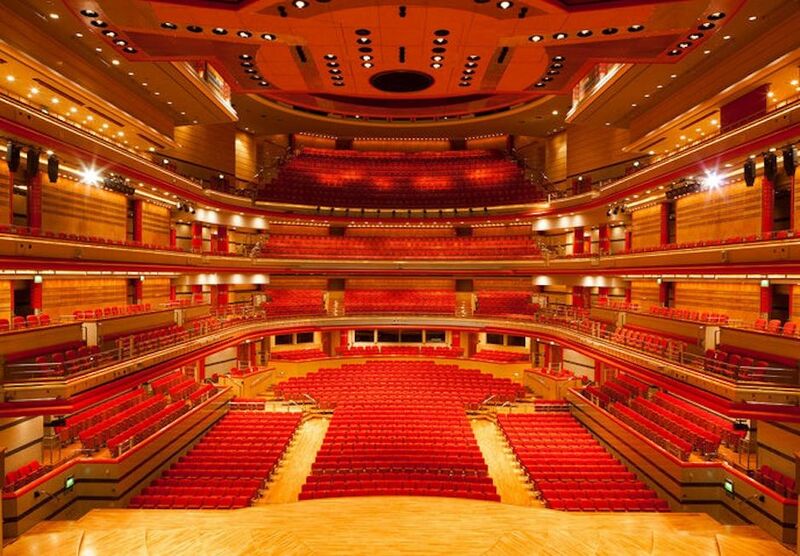 Birmingham Symphony Hall is considered one of the finest concert halls in the world for its acoustics and auditorium design. You came to England for a touch of class, right? Sure, but hopefully you also came to see a world-renowned orchestra dressed up as Daleks (and Jabba the Hut) or to view Jurassic Park against a full live accompaniment. For the record, Birmingham is the only UK hub outside London to have its own city orchestra and royal ballet…and quite possibly the only place anywhere where you can see Darth Maul on percussion. J.R.R. Tolkien, author of The Hobbit and The Lord of the Rings, lived in a village called Sarehole, a short drive from Birmingham city center. It’s widely understood that this spot was inspiration for Hobbiton and the Shire. If you’re a fan of Tolkien’s books or the more recent film adaptations, this is a great chance to see where he dreamed up his fantasy world. You don’t have to go at it on your own, either. 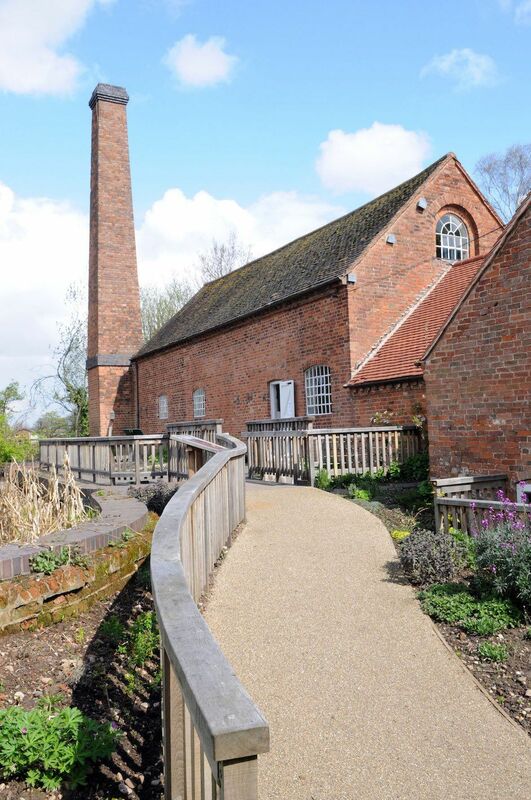 The Tolkien Trail highlights the locations where Tolkien lived and played in his youth, including Perrott’s Folly and the Edgbaston Waterworks Tower (the original “Two Towers of Gondor”); Sarehole Mill (where Tolkien nicknamed the miller’s son the “White Ogre”); and Moseley Bog, the likely inspiration for the “Old Forest” (Tom Bombadil’s Middle Earth stomping grounds). Move over, New Zealand — this is the real deal. Birmingham is built on a series of canals similar to what you’d expect in Venice, Amsterdam, or Bruges. There are dozens of miles of waterways running across pretty much the entire Birmingham metro area. But one section in particular — administered by the Dudley Canal & Tunnel Trust — has features you definitely won’t find in those other, more famous canal cities. 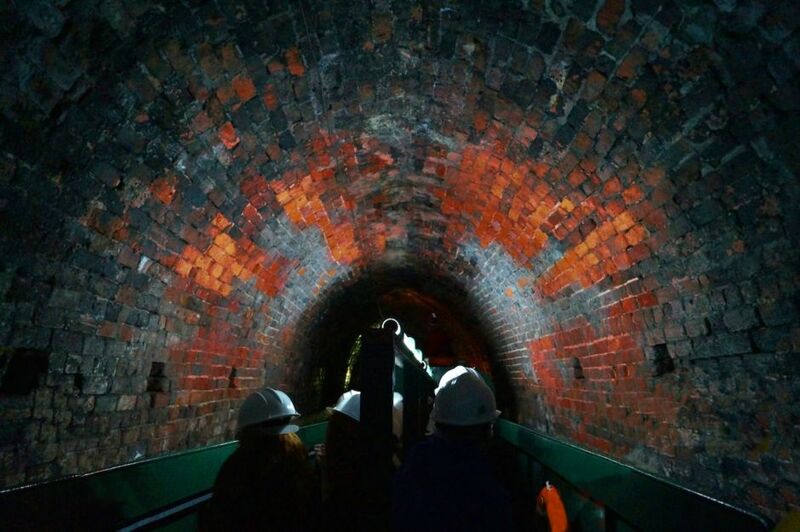 Think narrow tunnels and monumental caverns, all connected by boatable waterways that are open to visitors to explore. Through the trust, you can take anywhere from a 45-minute to a six-hour tour through multiple tunnels, canals, locks, and caves. The two-hour version includes “legging” it through the 9,000-foot-long Dudley Tunnel, where boats are propelled by nothing but human power. Beat that, Venice! The Electric Cinema opened in December 1909, making it the UK’s oldest operating movie theater. Originally showing silent black-and-white movies with nothing but piano accompaniment, it now screens the latest blockbusters as well as classic, independent, and foreign films — there’s also occasional special showings with live music from the Electric Cinema Film Orchestra. If you want to enjoy a film in pure luxury, or for a romantic date, book a sofa for two with waiter service for a special treat (yes, 1909’s offerings have been upgraded a time or two). Simpsons Eureka Kitchen puts your Blue Apron subscription to shame. It’s basically a Saturday-long cooking-school-meets-Michelin-starred restaurant. And, yep, you’re one of the chefs. 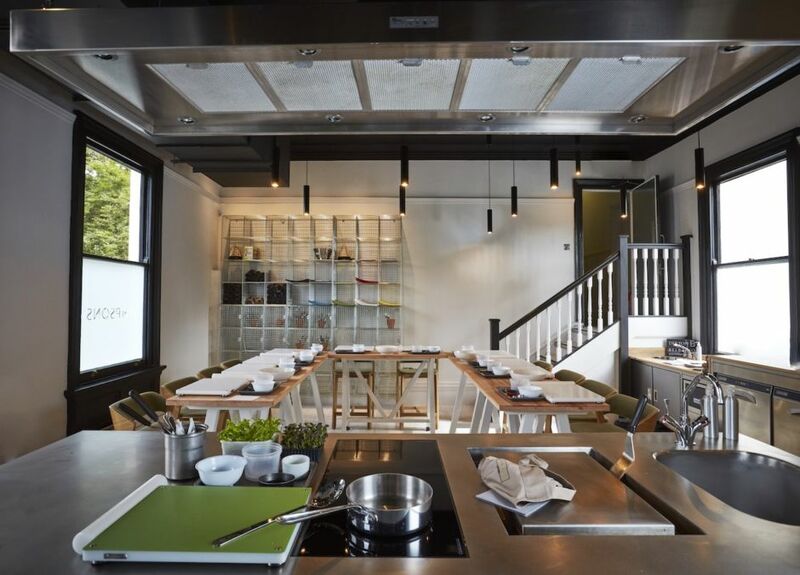 Under uber-professional guidance, and in the most amazing kitchen you’ll ever set foot in, you and your group will tackle a few extraordinary dishes. Break for champagne, and then it’s time to plate up and hunker down for a three-course lunch, some of which you just prepared. A sommelier is often onsite as well…yeah, when people talk about a dining “experience,” this is probably what they mean. 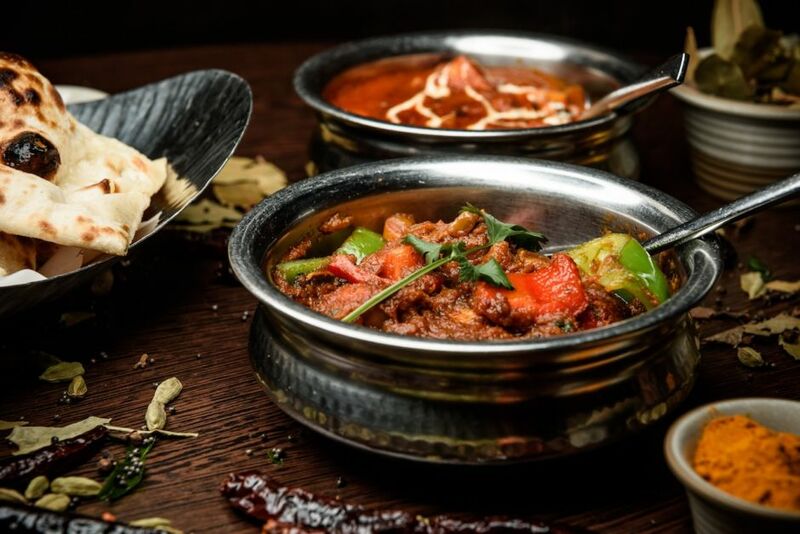 A balti is a type of curry made using fresh, marinated meat and vegetables, cooked quickly with extra spices over a high flame. The curry is then served up still sizzling in the balti dish, satisfying Brummies day in and day out. The dish originated right here in Birmingham, and you can’t leave without trying it. The name balti likely originates from Baltistan in the northern part of Pakistan — though it could also come from the Hindi word meaning “bucket,” referring to the dish in which the curry is served. Both etymologies taste the same (that is, delicious). Head to Adil, which is said to be where the balti was first served in 1977, or Akram’s, a local favorite. If the latter, don’t miss their incredible peshwari naans (Indian bread stuffed with dried fruit and nuts) to go with your balti. The most famous chocolate brand in Britain — the only one you need to know — is Cadbury. They’ve been making chocolate since 1824, at one time requiring a whole village to house their workers. The still-thriving community, Bournville, is just outside Birmingham city center, and some of the original buildings remain. 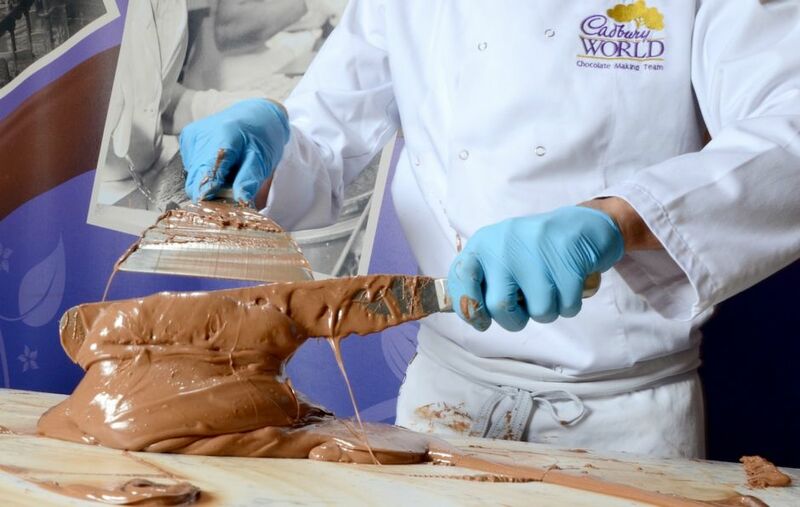 Cadbury World is a huge attraction in Bournville, with interactive exhibits covering the history of chocolate from the Aztecs to our modern-day obsession. There’s also a 4-D chocolate adventure, chocolate making, and plenty more to keep you entertained. You can even play in chocolate rain — you’ll have to find out for yourself what exactly that entails. Book the chocolatier experience to make your own Cadbury chocolate, and leave time to munch on afternoon tea in their café. Yep, it’s chocolate-themed, too. Clearly, in Birmingham, you’re not going to be bored. Welcome to England’s Heartland.